The responsibility of businesses extends beyond maximizing profits and ensuring efficient business processes. Creating a safe working environment for employees and contractors and a safe environment for local residents are just as important. Compliance with occupational health and safety legislation or other international legislation and regulations and standards is a basic requirement. 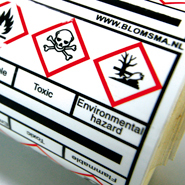 For this reason, safety signage should be an integral part of any business’ safety measures. 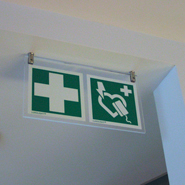 Blomsma Signs & Safety is doing its part for health and safety by providing effective health and safety signage! We act as a partner for the client and guarantee optimum and compliant safety signage products, in accordance with legislation. This ensures work can be done safely and the employer can be confident when faced with checks by inspection agencies. There are differences between legislation and regulations for various geographical areas, countries and maritime objects. The same applies to the laws, rules and standards for onshore and offshore objects. 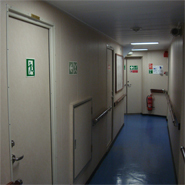 The circumstances on ships and offshore platforms are different to those in buildings, factory premises, workshops and other public spaces on land. Our recommendations and projects comply fully with EU Directive EU-92/58; ISO-7010 and GHS symbols are implemented in full. One key item we focus on is ensuring that information is displayed recognizably using graphical elements. 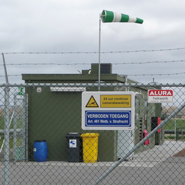 Combining symbols, colours and backgrounds allows us to create the best possible communication within the safety signage. This draws more attention to the signs and improves how well they function. For clients who operate both onshore and offshore, we standardize the signage as much as possible. If required, this can also be done with specific branding elements.